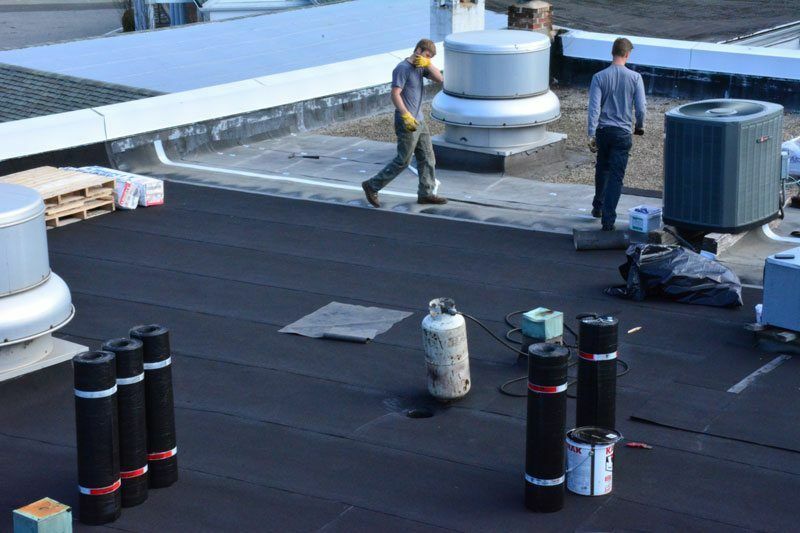 We specialize in the installation of 2 ply rubber roofing using the Modified Bitumen Torch Down System. 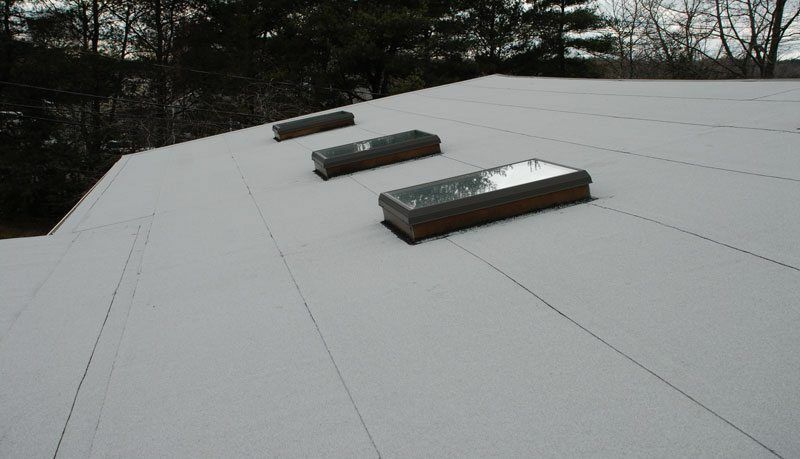 A fiber asphalt sheet anchors to a substrate, or an existing roof system (removal of an existing roof system is not necessary). A self-adhering single ply modified bitumen rubber membrane is attached to the fiber sheet. To that, a final layer of Modified Bitumen Torch Down Rubber, with embedded ceramic granules (protects against harmful UV rays), is heat-torched to the single ply membrane, creating our two-ply system. We provide a 40 warranty for every two-ply Modified Bitumen Torch Down System we install. The roofing industry has gone through a significant change since the late 1970s. Before this change, commercial flat roofs consisted of a Hot-Tar-and-Gravel Roofing System, which was the industry standard. 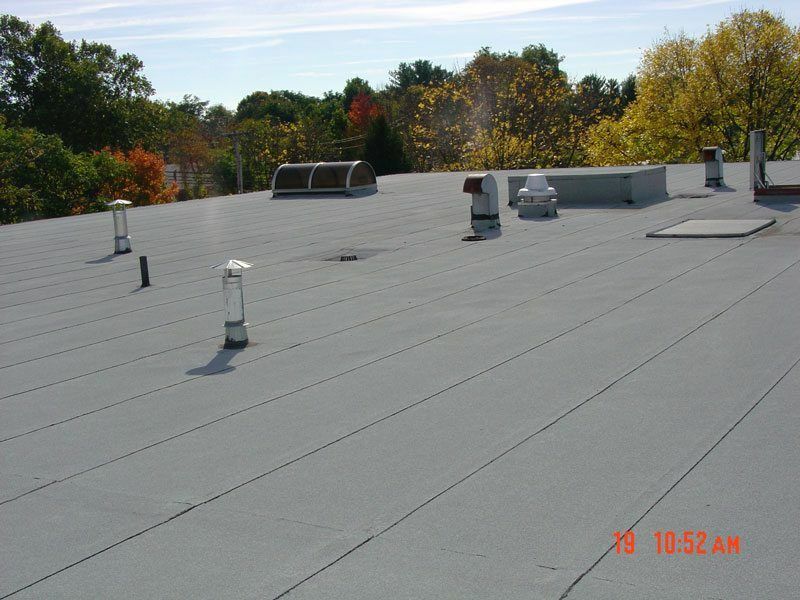 This type of roofing was very labor intensive, and the high costs associated with the tools and equipment kept the number of roofing companies to a minimum. 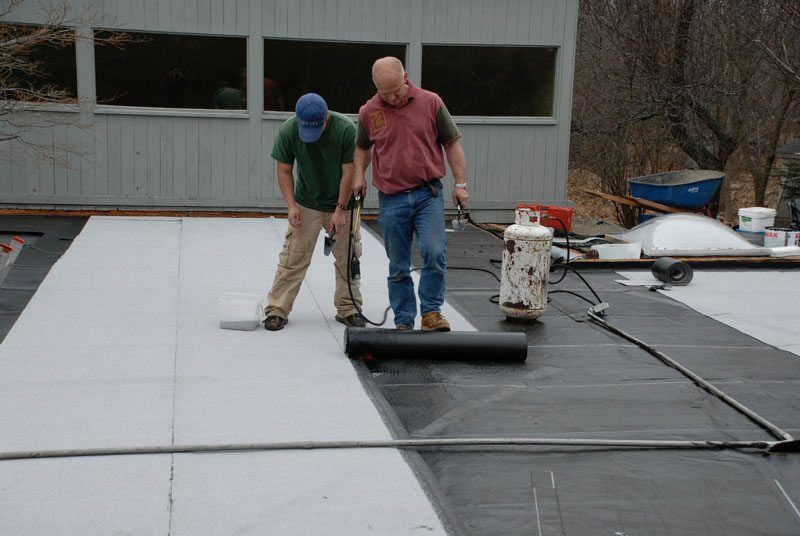 Today, single ply rubber and synthetic membrane roofingsystems have become the industry standard. There are three types of membranes commonly used on commercial roofs. The installation of these membranes has become very timely and less labor intensive than in the “hot tar” days. Acquiring the equipment, materials, and labor to install rubber roofs had become very easy. The ease of installation caused roofing companies to multiply, and this sudden growth created a pool of unskilled labor, which passed the risk of poor quality to the customer. On the other hand, after several decades in the roofing industry and the presence of the shift to rubber roofing, we have developed a roofing technique that warrants a 40-year life expectancy on all our installations. Watch the video below which shows how we go a step further with a single ply rubber membrane to a two-ply rubber membrane on a commercial flat roof. Our system will reach a life expectancy of over 40 years which makes it a system that is far superior to any other single ply system to date. There are many roofing companies. 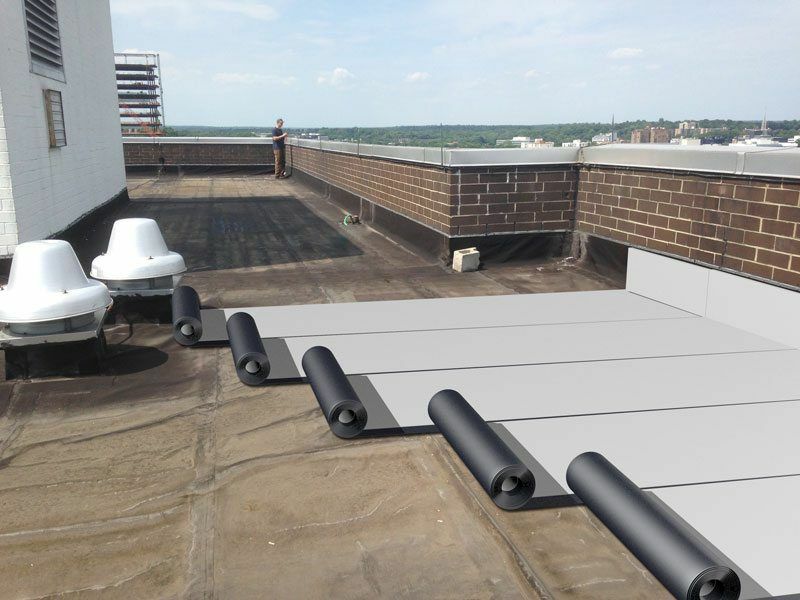 In your search for a flat roof contractor, you will find that EPDM and TPO quotes are quite appealing, but you will need to remember that those quotes are for single-ply rubber membranes that puncture easily, have adhesives that fail at the seams, and shrink and degrade from harmful ultraviolet light. 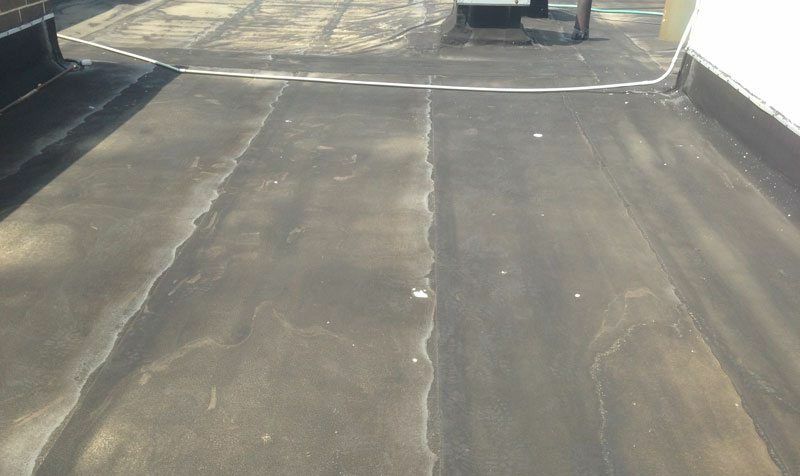 This is what a Completed Two-ply rubber roof in Westport, Connecticut, looks like after 25 years. These rubber roofs will never have to be replaced again. 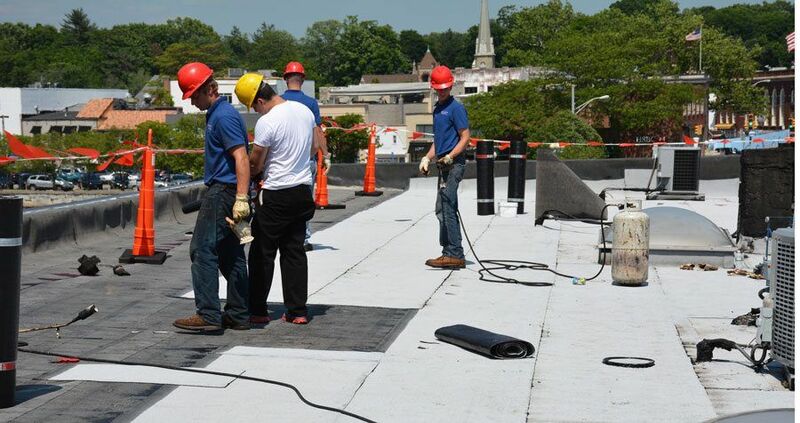 Another example of installing a Two-Ply Rubber Roof over stone. The black membrane is the first layer, and then the white cap sheet gets torched to the black base. This roof is over 20 years old, and we never had to go back for any repairs. This is what an EPDM Rubber Roof looks like after 10 years. All the patches indicate that the adhesive on the seams started to fail. Notice that there is no UV protection on it. This roof only lasted 15 years because they never coated it with aluminum asphalt paint. The best solution is to add another layer over the old single ply torch down rubber roof. Two layers of Torch Down will make it a two-ply roofing system that will never fail. 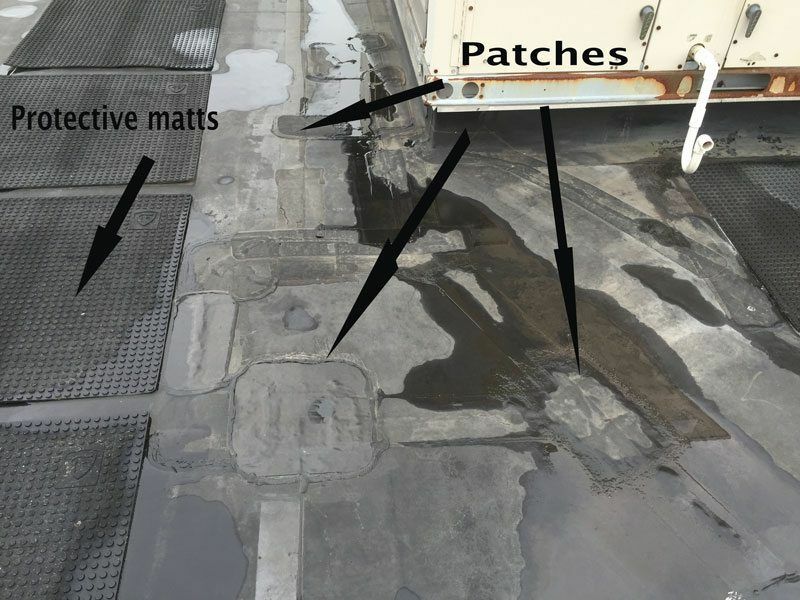 The image shows where we install a Two Ply Torch Down rubber roof over Tar and Gravel. We have done this process for over 30 years and all our roofs are still standing strong.